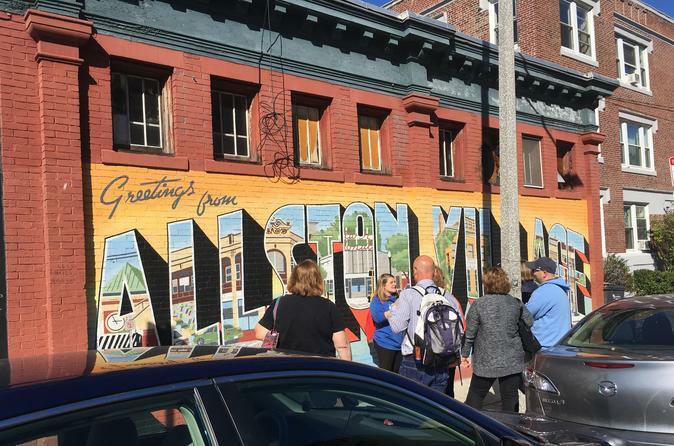 Join us for a walking food tasting and public art tour of Boston’s Allston Neighborhood! Home to a large student population and colorful street art, Allston’s collection of fun local eateries and impressive public art murals go hand in hand in giving this neighborhood its unique vibe and making it a great destination for both eating and exploring. At Bites of Boston Food Tours, we believe local food is best enjoyed when served in the context of your local surroundings, so with our neighborhood food experiences, we aim to do just that! Our tour experiences are carefully curated to give you a 'taste" of Boston's neighborhoods, both literally and figuratively! By combining local culture and stories with food favorites from beloved neighborhood eateries, our tours will have you eating, exploring and experiencing the city in a memorable, one-of-a-kind way. Home to a large student population, as well as Boston's largest Korean population, Allston is also home to some of the best Korean, fast casual, and comfort food in the city! We'll make sure you taste it all with visits to 5 different eateries over the course of 2.5 hours. But wait, there's more! Our neighborhood food experiences focus not only on the local food scene, but also what makes each neighborhood unique and special. In Allston, the public art scene is not to be missed. With vibrant, colorful murals adorning the walls of many buildings, Allston's streets have been transformed into an amazing outdoor art gallery. During this tour, you'll stroll theses streets, visiting 9 murals and hearing the stories of the artists who created them, as well as learning about the inspiration behind each work of art. We hope to see you in Allston!